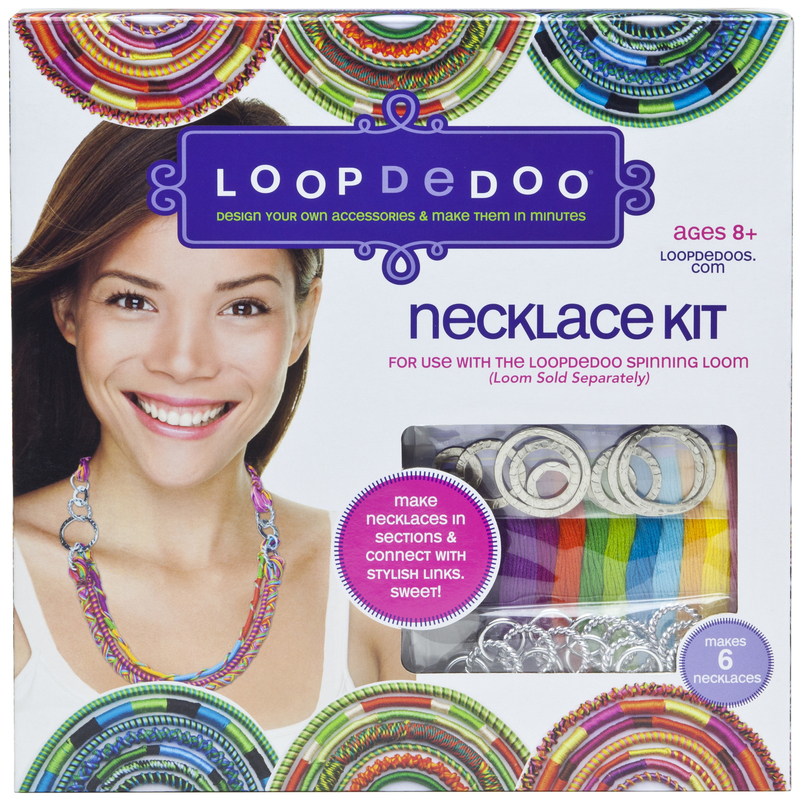 Making necklaces with Loopdedoo is now super easy. Create necklaces in sections, then mix, match or twist them together with our pretty links. Swap them, wear them short or combine them for longer lengths. 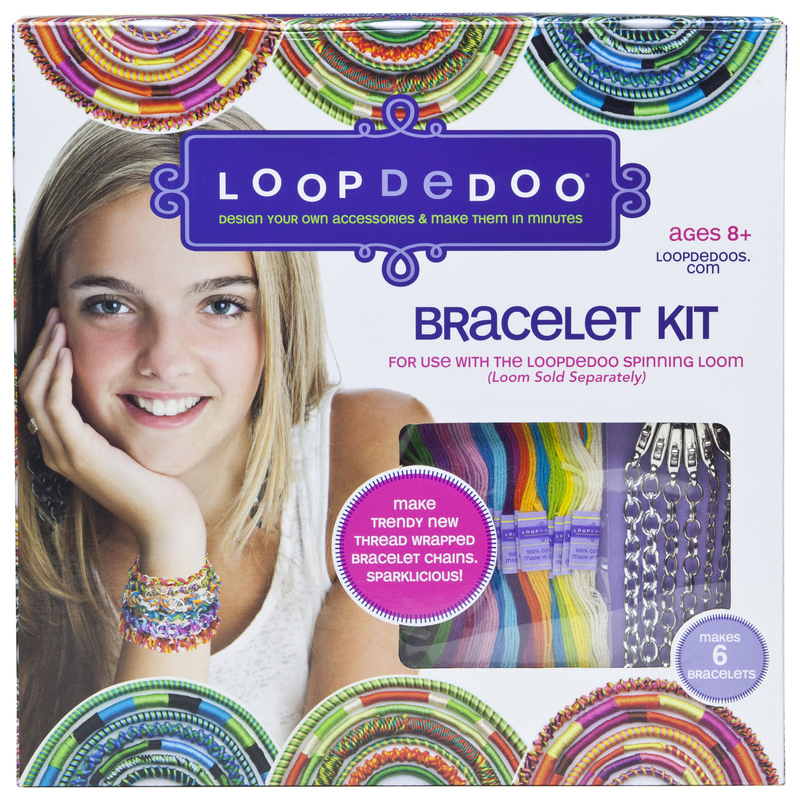 Kit includes materials for making 6 interchangeable necklaces. For use with the Loopdedoo spinning loom, which is not included. 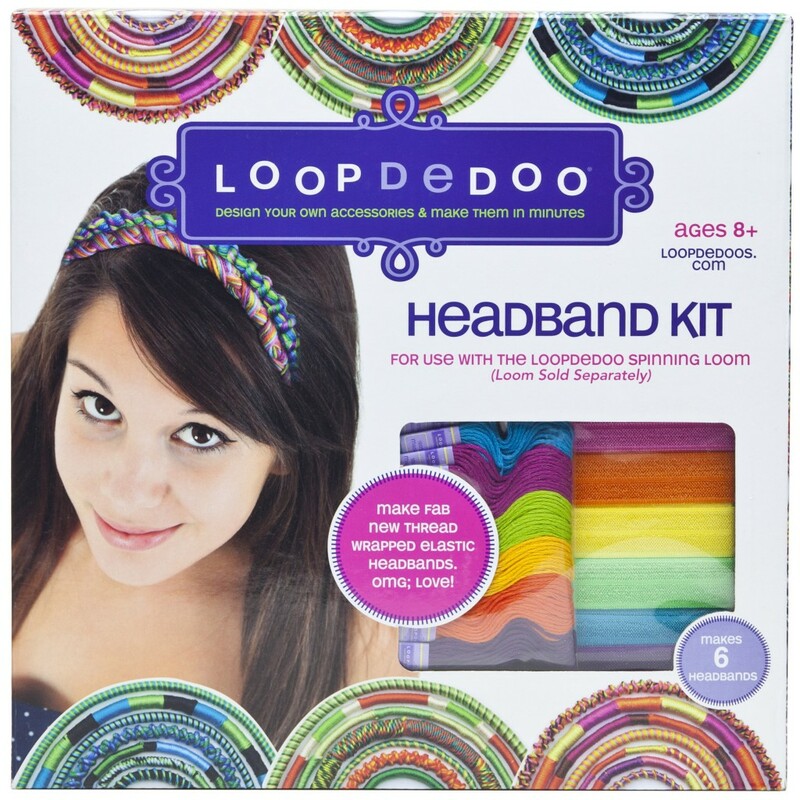 Headbands are a hot trend and Loopdedoo is all over it. With our new headband kit, girls can design and make their own stretchy headbands in minutes. Yet another fun way to craft with the Loopdedoo. One size fits all and they’re adjustable for comfort. Kit includes materials for making 6 headbands. These new thread wrapped chain bracelets are perfect for every girl’s friendship bracelet collection. They add some sophisticated sparkle, they’re easy to make, and they simply clip on and off. Such a great idea, such a fabulous look! Includes materials for making 6 chain bracelets.